I LOVE the simplicity and utility of making “lists.” I make a list for just about everything: what I’m about to do, where I’m supposed to go, and of course, what I’m going to watch. This starter list, describe which foreign film characteristics may be easier to digest, for people who don’t normally watch foreign films–the do’s and don’ts if you will. 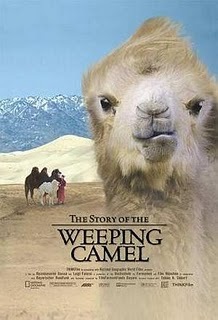 2) are family friendly; movies like “Happy Times” and “The Story of The Weeping Camel” have the je ne sais quoi that I love about foreign films, but is easily relatable. 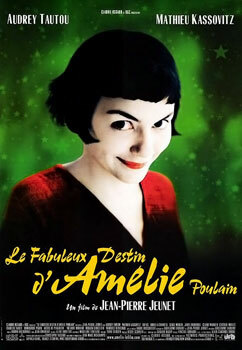 3) are creative BUT not confusing; I love surrealist filmmakers like Jan Svankmajer who might harmoniously mix character inner monologue with actions, but can often be confusing and can therefore be misunderstood.-Start with “Amelie” or “Billie Elliot” at first, as it is better to be able to appreciate complex films like “I Am A Cyborg, But It’s Okay” or “Wool 100%” when you can accept it as is. 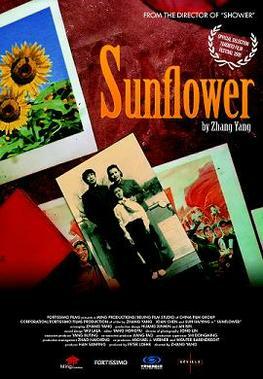 4) aren’t too long; magnificent films like Zhang Yang‘s “Sunflower” and “Aftershock” by Feng Xiaongang are phenomenal films that can only do justice to character development, if the film’s plot took it’s time to unfold. An antsy beginner may not have the patience to watch a heavily dramatic film that is more than an hour, and in turn may despise instead of understanding them. 5) look for familiar faces; many talented foreign actors such as Gong Li, Audrey Tautou and Michael Caine have become internationally known and have crossed over and captivated Americans with their exotic charms. A familiar face may make it easier to follow an otherwise different culture. 7) do not use subtitles as an excuse not to listen; at first, subtitles are crutches that aid us into the world of foreign languages. However, as you start absorbing the movie, you should slowly ween-off of using subtitles alone, to understand the story. Sometimes, I am so involved in the narrative of story–like in “Rosario Tijeras”, that I forget it’s a foreign language ’cause it’s that engaging. ***But Of course, we all enjoy and appreciate films differently. I wish I knew which to watch first before I started; as I disrupted & shunned classic films like “Farewell My Concubine” because it didn’t interest me at first glance. Good luck at your ventures and always! 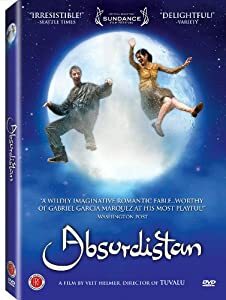 This entry was posted in Action, Adventure, Chinese, Comedy, Crimes & Gangsters, Czech Republic, Drama, Fantasy & Magic, French, Historical & Epic, Korean, Mystery, Romance, Romantic Comedy and tagged Aftershock, amelie, Audrey Tautou, Billie Elliot, farewell my concubine, Feng Xiaongang, Fiona Gordon & dominique Abel, Foreign films for beginners, Gong Li, jan svankmajer, L'Iceberg, Michael Caine, rosario t, Rosario Tijeras, Story of The Weeping Camel, Tips For First Foreign Film Beginners, World cinema, Zhang Yang. Bookmark the permalink.